He has become an Australian icon for inclusivity, now Kurt Fearnley has joined Winter Paralympics gold medallist Simon Patmore with two more nominations in the AIS Sport Performance Awards. 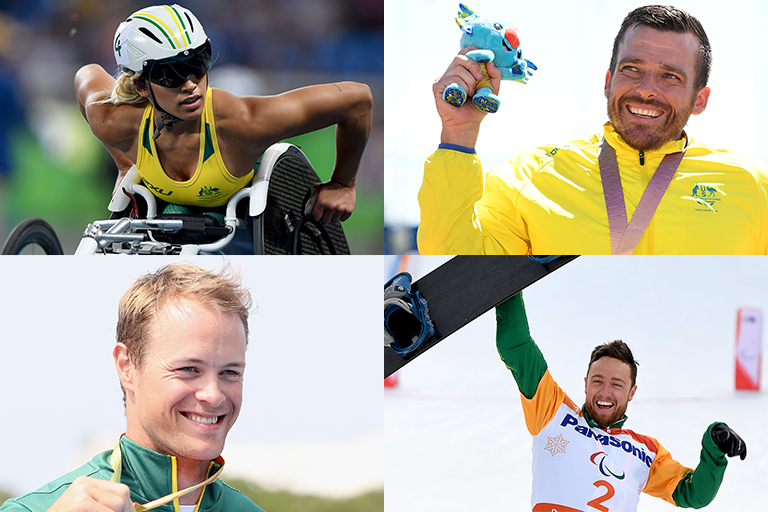 Fearnley and Patmore have been named as finalists for both the Para-Performance of the Year and Male Athlete of the Year in the AIS Sport Performance Awards (#ASPAs), the annual celebration of Australian high performance sport. A five-time Paralympian, Fearnley fittingly ended his sporting career with marathon gold at the 2018 Gold Coast Commonwealth Games. But his passionate and articulate advocacy for the broader inclusivity of the disabled community has ensured his legacy and leadership will extend far beyond his competitive career. Fearnley is now a finalist in five categories for the AIS Sport Performance Awards, also including ABC Sport Personality of the Year, Best Sporting Moment and; the Sport Australia Award, recognising fair play and integrity. Para-snowboarder Simon Patmore etched his name into the history books in 2018, becoming the first Australian man to medal at a Winter and Summer Paralympics. Patmore became Australia’s first gold medallist at Winter Paralympics since 2002 when he took gold in the Men’s Snowboard Cross SB-UL at PyeongChang. Patmore also claimed a bronze medal at PyeongChang in the Men’s Banked Slalom SB-UL. His achievements were more remarkable given his switch from athletics, where he had claimed a bronze medal in the men’s 200m at the 2012 London Paralympics. Madison de Rozario (Athletics): The popular wheelchair athlete claimed two gold medals at the Gold Coast Commonwealth Games, in the Women’s T54 1500m and marathon. A week later she became the first Australian female wheelchair racer to win the London Marathon, and in May equalled the T53/54 1500m wheelchair world record. Curtis McGrath (Canoeing): The Paralympic champion continued to excel in 2018, winning gold in the KL2 and VL3 at the Para-canoe World Cup and taking out the world championship titles in both events – now totalling eight world championship titles. 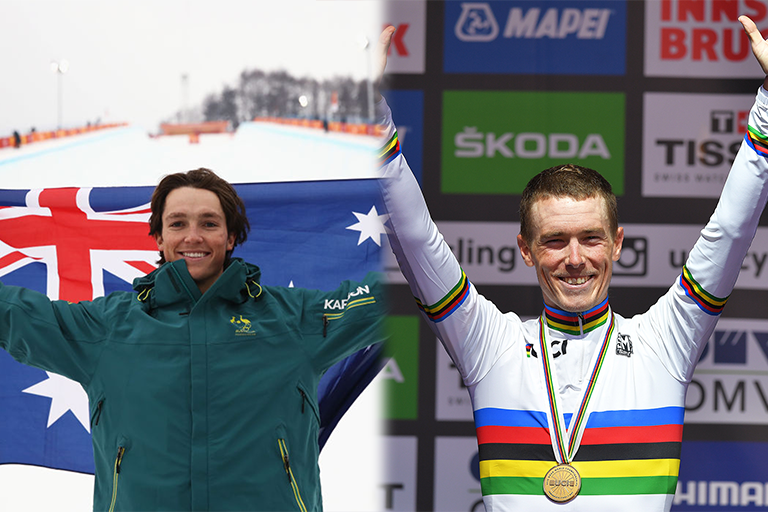 Rohan Dennis (Cycling): Rohan became the first Australian man since Cadel Evans in 2009 to hold a world championship title on the road, taking out the Individual Time Trial in Austria. The Australian champion dominated the race against the clock in 2018, also winning the individual time trial stages at two grand tour events, Vuelta a Espana and Giro d'Italia. Scotty James (Snowboard): In one of the most hotly contested Olympic finals in the Snowboard Halfpipe, James claimed bronze behind American legend Shaun White at PyeongCjhang. James also claimed silver medals at the X-Games and World Cup in Snowmass USA, named Australian flagbearer for the opening ceremony to the Winter Olympics.